Todd Nichols’ credits include work as a music educator, conductor, and performer throughout the United States. Mr. Nichols currently serves as Associate Director of University Bands and Director of Athletic Bands at Rutgers University. 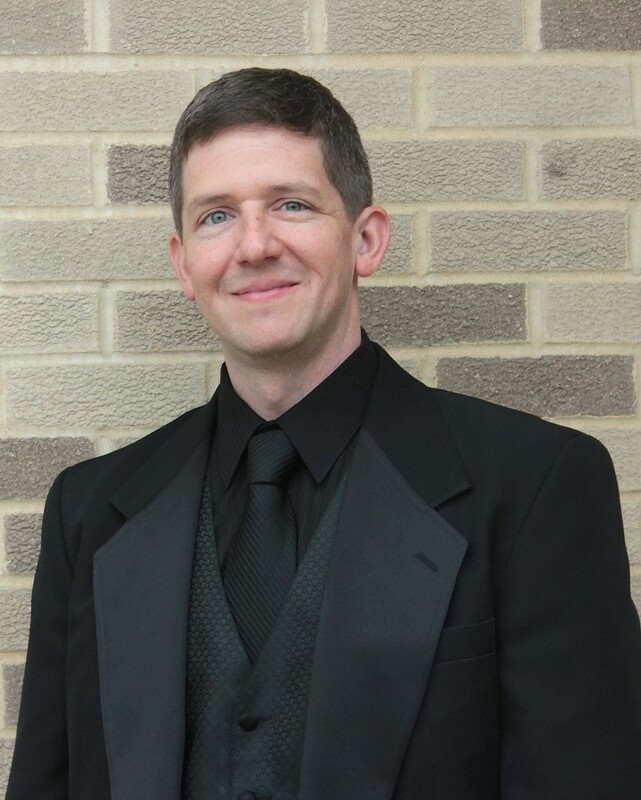 Mr. Nichols also, has participated in national focus groups for the Midwest Band and Orchestra Clinic and MFA National Concert Band Festival and served on the executive board for ASPIRE, a national organization devoted to commissioning new music of the highest artistic merit. Mr. Nichols has served as guest conductor for the United States Army Field Band, NJ Region I Symphonic Band, NJ Region II Symphonic Band, NJ Region I Jazz Ensemble, Rutgers University Honor Band, FMI All-State Band, 2011 CMEA Region Youth Honor Band, 2017 DCMEA Wind Ensemble, 2018 Sussex County Honor Band, and 2019 Bucks County Honor Band. Mr. Nichols is a frequent adjudicator and clinician for both high school and middle school ensembles and has adjudicated for NJMEA, PMEA, VMEA, Bands of America, and DCA. He received his BA in Music from The College of New Jersey in 1998 and MM in Conducting from Messiah College in 2010. Mr. Nichols has had the great privilege of studying with Dr. William Silvester, Dr. William Berz, and Dr. Brad Genevro. Mr. Nichols has also participated in conducting master classes and symposiums with notable conductors and educators including Eugene Migliaro Corporan, Mark Davis Scatterday, David Effron, Virginia Allen, and Dennis Fisher. In 2012, Mr. Nichols was selected via an international audition as one of only ten Conducting Fellows for the Juilliard School Conducting Workshop. Nichols has also been honored to work with instrumental icons Phil Smith, Joe Alessi, Stanley Drucker, Allen Vizzutti, and Alan Baer. As Artistic Director and Conductor for The Eastern Wind Symphony, Mr. Nichols orchestrated the ensemble’s debut in Carnegie Hall, created an Annual Guest Artist Program with many of New York’s leading soloists, created a Visiting Distinguished Conductor Program, recorded the ensemble’s most recent albums Resurgence, and Elements, commissioned seven new works for the group, and is active in the development of the Eastern Wind Symphony Youth Band. Under Mr. Nichols’ direction, the EWS has been invited to perform at major concert halls and conventions including Carnegie Hall, The Kennedy Center, the 2015 Midwest Band and Orchestra Clinic, 2017 NAfME All Eastern Convention, and 2017 ITG Conference and three upcoming national convention performances in 2019. Mr. Nichols has produced and assisted with numerous professional wind band recordings for ensembles including the Eastern Wind Symphony, Keystone Wind Ensemble, Westchester University, Rutgers University Wind Ensemble, Messiah College Wind Ensemble, and New Jersey Wind Orchestra. Mr. Nichols is an advocate for new compositions and has supported the efforts of composers in over twenty commissions including David Gillingham, John Mackey, Julie Giroux, Joe Turrin, William Ryden, Kevin Bobo, Joseph Spaniola, Eric Whitacre, Bruce Yurko, Robert Farnon, and Dana Wilson. Most recently Mr. Nichols was inducted into the prestigious American Bandmasters Association and American School Band Directors Association in 2016. He received the Citation of Excellence from the National Band Association in 2016 and NJ the Governor’s Teacher Recognition Award in 2001. Mr. Nichols was featured in a 2009 spotlight article for the Instrumentalist Magazine, and has been included in the 2002 and 2004 editions of Who’s Who Among America’s Teachers. His professional affiliations include the B1G Band Director’s Association, NBA, WASBE, NAfME, and NJMEA. Mr. Nichols resides in Hillsborough, NJ with his wife Beth and daughters Sarah and Emily. 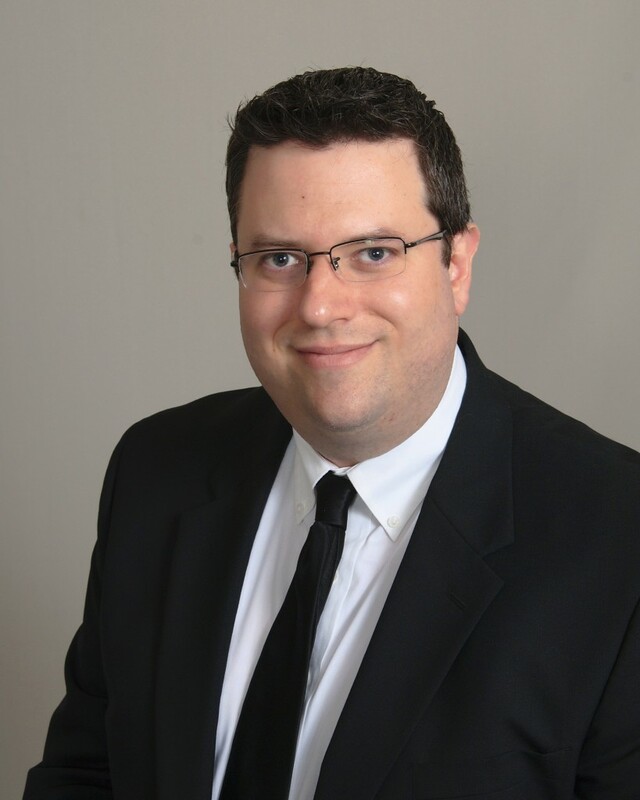 Adam Warshafsky received his bachelor’s degree from the University of Pennsylvania in Philadelphia, PA. During his time as an undergraduate student, he served as an assistant conductor of the University of Pennsylvania Wind Ensemble under the direction of Dr. Ricardo Averbach. Adam also restructured the Penn Jazz Ensemble and brought it back to the forefront of performing arts at the university. He served as its interim artistic and administrative director until his graduation when he collaborated with the university to secure a permanent director. Adam completed his graduate work at the University of Michigan where he received his master’s degree in music education. During his time in Michigan, Adam had the opportunity to study with a number of faculty who significantly influenced him as a person and musician, including Michael Haithcock, Steven Davis, James Tapia, Scott Teeple, Jamie Nix, Betty Anne Younker, Sandra Snow, Colleen Conway, and Donald Sinta. Adam also served on the staff of the Michigan Marching Band where he co-wrote the drill for two shows and assisted in teaching the marching band techniques course. In the fall of 2003, Adam was appointed director of bands at Montgomery High School in Skillman, New Jersey. Since 2003, the high school band program has grown from 100 students to over 230. The Montgomery High School Wind Ensemble has performed at the New Jersey Band Conference, New Jersey State Band Gala, NJMEA State Music Conference, New Jersey Performing Arts Center, Carnegie Hall, Richardson Auditorium, and the Nicholas Music Center. Additionally, the wind ensemble has performed concert tours of Spain, Germany, and the Czech Republic. Guest conductors and clinicians have included William Berz, Ray Cramer, James Keene, Damon Talley, Malcolm Rowell, Andrew Boysen, James Tapia, Darryl Bott, David Vickerman, Kraig Williams, Thomas McCauley, and Bruce Yurko. In the fall of 2012, Adam was hired as the supervisor of visual and performing arts for the Montgomery Township School District. In this role, he continues teaching the high school wind ensemble and has been successful in significantly expanding the music programs in all of the district’s schools. Outside of Montgomery, Adam enjoys guest conducting opportunities whenever possible. He has been a guest clinician for high school and middle school bands in Michigan, Ohio, New Jersey, and Pennsylvania and has been invited to conduct regional honor bands. He is also excited to currently be serving as the Past President of the Central Jersey Music Education Association. Adam was appointed the assistant conductor of the Eastern Wind Symphony in July, 2011 and the conductor of the Eastern Wind Symphony Youth Band in the fall of 2012. The Eastern Wind Symphony Youth Band comprises 60 students from over 20 high schools across the state of New Jersey. The Eastern Wind Symphony is a fantastic group of consummate volunteer musicians who perform music for music’s sake. Adam is honored to be a part of this ensemble. Rebecca Gentile has served as the President of the EWS Executive Board since 2009. Ms. Gentile is an Associate Director at Merck & Co. working in the Quality, Stability area. She has a BS in chemistry from The College of New Jersey and an MS in Quality Assurance and Regulatory Affairs from Temple University. 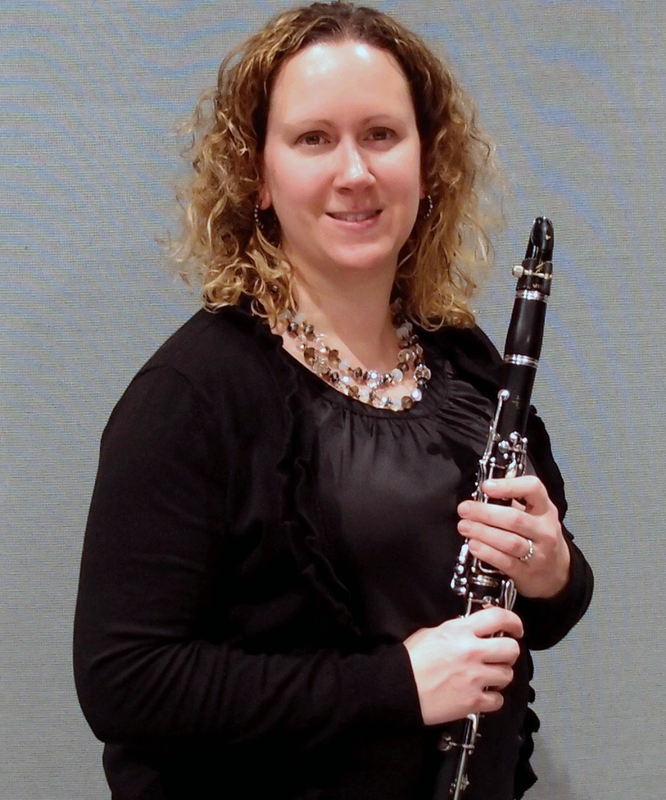 Ms. Gentile has played clarinet with the Eastern Wind Symphony since the group was established in 1996. She was a member of the TCNJ Wind Ensemble in college, and joined the Executive Board first as an Alumni Liaison in 2002. In addition to playing with the EWS and serving on the Executive Board, Ms. Gentile is very active in the community. She served as PTO committee head for the local school Science Fair, serves on the Board of the local pool club, and is a foster home and supporter for a local dog rescue. Ms. Gentile lives in PA with her husband and two sons, who also love music and perform with the local school bands. The Eastern Wind Symphony Executive Board receives no monetary compensation for its efforts. All time and energy is donated to support the EWS mission. 100% of your contribution and all money donated to this organization are used for outreach initiatives, concert marketing and production, and necessary operation expenses. William H. Silvester has a wide range of experience as a performer, conductor, clinician, adjudicator, and music educator. His background includes many years in the public schools at all levels; and, as a college symphony director, he has appeared as a guest conductor throughout the United States, Canada, and Europe. Just some of the ensembles he has conducted include the Russian Army Band, The US Army Band, The US Army Field Band, the Marine Band, The Swiss National Youth Band and numerous other professional and college ensembles. Dr. Silvester is a member of the prestigious panel of adjudicators for the World Music Festival in Schladming, Austria, where he adjudicates and clinics ensembles from throughout the world. He is also a member of the American Bandmasters Association. On an international concert tour Dr. Silvester conducted to standing-room-only audiences throughout England and Wales in such prestigious halls as the Royal Opera House (Trent), the Royal Ballet (York) and Bridgewater Hall (Manchester.) In another similar concert tour, he conducted in sold-out performances at the famed Konzerthaus in Vienna, Austria, concert location for the Vienna Philharmonic, and other marvelous venues throughout Austria including Haag, Linz, Bad Ischel, and Salzburg. 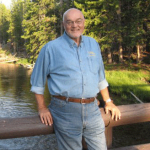 Dr. Silvester is a published arranger with over 35 works to his credit. His arrangements of Aaron Copland’s Old American Songs for Boosey & Hawkes have been recorded by The US Army Field Band and Soldier’s Chorus and many other professional ensembles. His most recent transcription for Boosey & Hawkes (Cotillon) is featured in their Windependence Series and has been included in the GIA series, Teaching Musicianship through Band Performance. Dr. Silvester is also featured as an author in this same series and his transcriptions appear on the University of North Texas’ album of Ralph Vaughan Williams works. Dr. Silvester’s transcriptions of Christmas Carols for Masters Music Publications, Inc., the wind and percussion arm of Kalmus, have been performed and recorded by ensembles throughout the world. 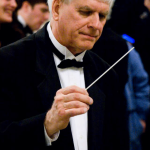 Since 1982, Dr. Silvester was a professor at The College of New Jersey, conducting the Wind Ensemble and teaching music education and conducting courses. He has recently retired from his position there, and currently resides in Florida with his wife. George Balog has taught on the secondary and elementary school levels for 34 years and has been teaching woodwinds at the New Jersey Governor’s School for the past twelve years where he has had a major influence on the direction of musical activities. His expertise in music and education at this level has had a major impact on music education and symphonys at TCNJ. Mr. Balog currently the Wind Ensemble Director at The College Of New Jersey. He performed as Principal Clarinetist in The Eastern Wind Symphony since its inception and will be the newly appointed conductor of the ensemble beginning in the 2009-2010 season. He is a consumate performer with The Greater Trenton Symphony Orchestra and the Boehme Opera Company. He also performs freelance work throughout Philadelphia and New Jersey.